Just the other day on the FCC, the Jetstream JT220M, a 220Mhz Mobile Radio, for amateur radio use. 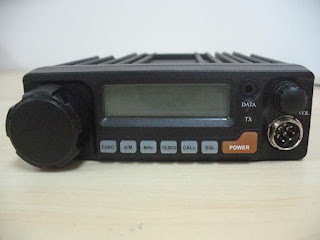 I spoke with the "importer", www.jetstream-USA.com The price will be around $200-$250 street price, and with some luck these rigs will be available come Dayton Hamvention. At this time there were no definite plans for other Jetstream radio's, but they were looking at some possibilities. Recently visited by the FCC the Icom ID-880H digital D-Star dualbander.